Ever since the Parivadini series 2017, I have been talking to various people and have been contemplating Nagaswara artists, their current state in the Carnatic music field, and possible ways to elevate their status in the field. Although we seem to consider Nagaswara music to be a part of Carnatic Music there seem to be many fundamental differences between the so called “Carnatic world” and the “Nagaswaram world”. The Parivadini Pratibha Series got me thinking about this. The series was open for all. There was no restriction in terms of caste/gender/region or instrument. While we received entries from a diverse set of people, we did not receive a single entry from a Nagaswara artiste. If I were to identify the “next gen” Injikudi Subramaniam or Vyasarpadi Kothandaraman, how was I supposed to figure that out? On the one hand, there is a lot of pessimism about the state of Nagaswaram. On the other, here I am, a genuine well-wisher of Nagaswaram music eagerly wishing for its prosperity but struggling to identify young talents. To me at first the Nagswara – Non Nagaswara divide appeared to be a consequence of the larger Brahmin – Non Brahmin divide in the Carnatic world at large. For sure carnatic music is restricted to a very small group of people, predominantly Brahmins. But for the moment, let us forget that problem and focus exclusively on Nagaswaram, for the simple reason that it might be better to first stem the rot locally with respect to a specific issue, before we dream of greener pastures. As it turns out, there are other important factors at play here besides caste. These performances typically help the child break out of stage fear. Recordings of such performances are meticulously scrutinized by the Guru and helps the child assess her strengths and weaknesses. If the child doesn’t deliver at the expected level, little damage is done in terms of reputation since these concerts are low profile. Upon gaining reasonable experience performing on stage, a biodata and recordings are floated around in various networks. The child’s talent (to a lesser degree) and the strength of parents’/guru’s network (to a higher degree) result in concert opportunities of more serious nature, at bigger venues. Most concert opportunities even at this stage typically mean performing without an honorarium. Needless to say, parents are also happy to absorb the costs of preparation/travel etc. They invest a significant amount of their own time as well. For instrumentalists, a grand arangetram (debut) concert is arranged where the young performer shares the stage with veterans. The hall typically overflows with friends, relatives, musicians and several individuals who are influential in this field. The above-mentioned process approximately takes a decade. Another point to remember is that all this while, the child does not compromise on academics. There is absolutely no pressure on the child to reach a level in music that should eventually win her/him their daily bread. The decision to take up music as a full-fledged career usually waits until one is in their late twenties. At the end of this roughly decade long process, the child’s seriousness towards the art becomes clear and that defines the further course of action. The promising talents, upon doing enough PR exercises, can always land 2-6 afternoon concerts during the December Season (The probability of a concert opportunity in Chennai for a non-Chennai resident is a little low but not zero. Eventually parents figure out who likes “namma kuttan” or “mana vaadu” more than ‘namba paiyan’.) In case of accompanying artists, the opportunities can be even more. Beyond this point, success in gaining concert opportunities becomes an increasingly complex process. While it is possible to break down someone’s success top-down to its various ingredients, it is difficult to prescribe a fool proof bottom-up formula that works for every promising aspirant. In any case, there seem to be several promising artists at any given point at various career stages, and for an earnest rasika or an organizer, the talent pool is up to the brim. There is plenty to choose from. There is enough evidence to suggest that the process detailed above can work as well for a Non Brahmin and Non Nagaswara artist as it does for a Brahmin and Non nagaswara artist. Now if we look at the Nagaswara world, this well-crafted process of working one’s way up suddenly doesn’t exist anymore. At a cursory glance, one might conclude that this is because of lack of patronage to Nagaswaram in sabhas. One might argue that the Nagaswaram is restricted to inauguration functions and is not featured in concerts. There is some degree of truth to this, especially if we consider the December Season concerts in Chennai. However, a closer look reveals deeper issues. Let us look at the population that chooses to learn Nagaswaram and Thavil. Most of this population is in Government aided music schools and colleges that require the student to know how to read and write. There is a small population that learns in the Gurukula mode under some kin who is in the profession. This latter number is insignificant though, and hence I won’t get into it here. What is the motivation for Nagaswaram students to join such institutions? Is it the love for the art or something else? The startling answer to this question is that students join such institutes because of poverty. I was quite shaken when I first heard this from a great Nagaswaram artiste. How does choosing to learn the Mangala Vadhyam help address issues related to poverty? It is in such tragic conditions that artistes of promise emerge. Unfortunately the talented youngster in such a situation neither has the life skills to work his way up in the urban Carnatic world nor the financial freedom to pursue higher musical goals. The fact that we have a number of high quality Nagaswaram artists today is nothing short of a glorious miracle. It is as though seeds have sprouted on concrete. Sociologists unfortunately stop at viewing this issue as a “Brahmin vs. Non Brahmin” thing and think that their job is done if they write or talk about this. While they are angered that the Brahmin controlled sabhas do not host enough Nagswaram concerts and that when such concerts are hosted the audience turn out is distressingly low, they do not think it is necessary for them to turn up to such concerts themselves. (Let us not even get into organizing.) For non Nagaswaram concerts it would be a fair guess that about 75% of the audience that turn up are not really there to enjoy the music. They turn up to honor the request of the artist and genuinely feel that their presence (despite their musical ignorance) has a role to play in encouraging the artist. Unfortunately, this does not happen in the Nagaswaram Concerts. A scholarship can be initiated for a period of five years to be given to deserving students under a designated, well meaning Guru. The scholarship should relieve the student of her/his financial woes and allow her/ him to focus on the music alone. This could start with 5 to 10 students and should be used as a motivation to students to take up music seriously and not be complacent merely with some sounds produces. While the student learns under the designated Guru, opportunities should be created for this student to travel to cities like Chennai and participate in various workshops conducted by musicians and attended by Non Nagaswaram students. Endowments could be started in Sabhas to conduct Nagaswaram Competitions. Talented young Nagaswaram artistes should be featured along with young and popular non Nagaswaram artistes so as to create visibility. Training should be provided on communication and life skills. If possible, we should also help them with some kind of an academic degree. We should consciously work on bringing more people to Nagaswaram concerts. We should actively spread the idea that attending such events helps a cause and inability to understand the music should not be a deterrent. DIY webcast kits can be provided to artists so that they can showcase their talent from wherever they are. While I’m still mulling over these thoughts for several months now, a beginning is made this month. Apart from the Bi Monthly Nagaswaram series that we started in June 2018, we are planning to give instruments to students that are talented and under financial distress. We gave away three nagaswarams and one thavil (costing a total of ninety thousand rupees) to four young deserving students on 03 Nov 2018. This thought was initiated through Nagaswara Vidvan Idumbavanam Prakash Ilayaraja. When a student of Ilayaraja, who had graduated from his school, approached him to buy a new nagaswaram – only to realize it was too expensive and had to postpone the buying for another few months before he could save enough to buy a new one (costing INR 15000). This student is a typical case, where an artist all of 18, must depend on his music (having lost his father) to support is entire family and he doesn’t even possess a decent instrument to practice his art. Ilayaraja says, “Such students are there in hundreds and in every district of Tamilnadu”. I can go on and on. But I will stop here. I put this post out to create visibility on a grave issue and create an opportunity for discussion and hopefully pave the way for some concrete action. Balaganesh (Age 16) learning under Prakash Ilayaraja at State run music school, Vizhuppuram. சென்னை போன்ற நகரங்களில் கலைக்காக இசைப் பயிற்சி பெருபவர்கள் அதிகம். கிராமப்புரங்களில், குறிப்பாக நாகஸ்வரம்/தவில் பயில்பவர்களைக் காணும் போது கலைக்காக கற்பவர்களைவிட வறுமையினால் இசைப்பள்ளிக்கு வரும் மாணவர்கள் பலரைக் காணமுடியும். அத்தகைய மாணவர்களை ஊக்கிவிக்கும் வண்ணம், முடிந்த அளவில் பரிவாதினியின் மூலமாக உதவி செய்யவுள்ளோம். அதன் தொடக்கமாக வரும் நவம்பர் 3-ஆம் தேதி நான்கு மாணவர்களுக்கு (3 நாகஸ்வரம், 1 தவில்) இசைக்கருவிகளைத் வாங்கித் தரவுள்ளோம். பரிவாதினி ஒருங்கிணைத்திருக்கும் வித்வான் யாழ்பாணம் பாலமுருகன் அவர்களின் நாகஸ்வரக் கச்சேரிக்கு முன் இந்த நிகழ்வு இடம் பெரும். இந்த முயற்சியில் பங்களிக்க விரும்புவோர் பரிவாதினிக்கு நன்கொடை செலுத்தலாம். கர்நாடக இசையைப் பொருத்தமட்டில் வெளிநாட்டில் இருப்பவர்கள் இந்தியாவில் இருந்து இந்தக் கலைஞர் நம் நாட்டுக்கு வந்து கச்சேரி செய்யமாட்டாரா என்று ஏங்குவதுதான் வழக்கம். அதற்கு நேர்மாறாக, வெளிநாட்டு கலைஞர் நம் ஊரில் வந்து கர்நாடகயிசை இசைக்க மாட்டாரா என்று நினைப்பது அரிதினும் அரிது. 1960-கள்/70-களில் தவில் மேதை யாழ்ப்பாணம் தட்சிணாமூர்த்திக்கு இது நிகழ்ந்தது. அதன்பின் அதே மண்ணில் இருந்து உருவாகியிருக்கும் நாகஸ்வர கலைஞர் யாழ்ப்பாணம் பாலமுருகனின் மேல் அத்தகைய எதிர்பார்ப்புகள் உருவாகியுள்ளன. கடந்த இரண்டு ஆண்டுகளில் எண்ணற்ற முறை ஃபேஸ்புக், ட்விட்டர் முதலான இணையவெளிகளில் பாலமுருகனின் இசைப்பதிவுகள் பலரால் பகிரப்பட்டுள்ளன. அவர் வாசித்த பல திரையிசைப் பாடல்கள் பெரும் வரவேற்பைப் பெற்றுள்ளன. கர்நாடக சங்கீத ரசிகர்களை அவர் நாகஸ்வரத்தின் இனிமையும், சுஸ்வரமான ராக வாசிப்பில் தென்படும் கற்பனை வளமும் அழகுணர்ச்சியும் , “யார் இந்தப் புதுக் காற்று?”, என்று திரும்பிப்பார்க்க வைத்துள்ளது. “எங்கள் பூர்வீகம் புதுக்கோட்டை மாவட்டத்தில் உள்ள ஆவுடையார்கோயில். தாத்தா தவில் வித்வானாக இருந்தவர். அவர் காலத்தில் இலங்கைக்கு குடிபெயர்ந்தோம். அப்பா சுப்புசாமி பிள்ளை நாகஸ்வர வித்வான். அதைத் தவிர, தவில், வாய்ப்பாட்டு, மிருதங்கம், கடம், கஞ்சிரா ஆகியவற்றிலும் தேர்ச்சி பெற்றவர். என் எட்டாவது வயதில் அவரிடம் கற்றுக் கொள்ள ஆரம்பித்தேன்.”, என்கிறார். தன் இளமைக் காலங்களை இலங்கையில் நடந்த போருக்கிடையிலேயே கழித்த பாலமுருகன், தன் இருபதாவது வயது வரையில் வாழ்க்கையை பத்து கிலோமீட்டருக்குள்ளேயே கழித்ததாகக் கூறுகிறார். “தெரிந்தவர்கள் எல்லாம் போரில் மாண்டு விழுந்த போதும், அடுத்த நாள் பிழைத்திருப்போமா என்று அறியாத போதும் தொடர்ந்து சங்கீத சாதகம் செய்வதை என் தந்தையார் வலியுறுத்தி வந்தார். என் வீட்டில் திருவாவடுதுரை ராஜரத்தினம் பிள்ளை அவர்களின் கேசட்டுகளைத் தவிர வேறொரு நாகஸ்வர கேஸட்டுக்கு இடமில்லை. “அதைத் திரும்பித் திரும்பிக் கேளு. அதில் இருப்பவற்றை முழுவதும் வாசிக்க முடியாவிட்டாலும், அதிலிருந்து ஏதாவது சில விஷயங்கள் உனக்கும் ஒட்டிக் கொள்ளும். அப்படி ஒட்டிக் கொண்டாலே பெரிய விஷயம்தான்.”, என்று அப்பா சொல்வார். அந்த நெருக்கடி நிலையிலும் விடாது செய்த சாதகம்தான் என்னை இன்று ஒரே நாளில் மூன்று இடங்களில் வாசிக்க வேண்டும் என்றாலும் சமாளிக்க உதவுகின்றன.”, என்கிறார் 38 வயது பாலமுருகன். அளவெட்டி பத்மநாபனிடம் சிறப்புப் பயிற்சி பெற்றுள்ளார். வித்வான் பத்மநாபனுடனும் அதன்பின் இலங்கையில் பிரபலமாயிருந்த வித்வான் கானமூர்த்தியுடனும் துணை நாகஸ்வரமாக சில ஆண்டுகள் வாசித்த பின் , தனது 23-வது வயதில் இருந்து தனி ”செட்” அமைத்துக் கொண்டு வாசித்து வருகிறார். சிங்கப்பூர் செண்பக விநாயகர் கோயில் கும்பாபிஷேகத்துக்காக முதன் முதலாய் வெளிநாட்டுப் பயணம் சென்ற பாலமுருகனின் வாசிப்பு இன்று லண்டன், ஆஸ்திரேலியா, கனடா முதலான நாடுகளில் பெரும் வரவேற்பைப் பெற்றுள்ளது. தென்னிந்தியாவிலும், குறிப்பாக கர்நாடகத்திலும் கேரளத்திலும் எண்ணற்ற அழைப்புகளை ஏற்று நிறைய கோயில் கச்சேரிகள் செய்து வருகிறார். இவர் வாசிப்பைக் கேட்டு, ஹரித்வாரமங்கலம் பழனிவேல், டி.ஏ.கலியமூர்த்தி, தஞ்சாவூர் கோவிந்தராஜன், மன்னார்குடி வாசுதேவன் போன்ற பெரிய தவில் வித்வான்கள் மனமுவந்து இவருடன் வாசித்திருக்கின்றனர். “2006-ல் யாழ்பாணத்துக்கு ஒரு கச்சேரிக்காக சென்றிருந்த போது அங்கு பாலமுருகன் இரண்டாவது நாயனம் வாசித்தார். அவர் வாத்யத்தின் நாதமே இனிமையாகவும் தனித்துவமாகவும் இருந்தது. எது வாசித்தாலும் அதிலிருந்த குளிமை மனத்தை ஈர்த்தது. 2009-ல் ஒரு வாய்ப்பு கிடைத்த போது அவரி இந்தியாவுக்கு அழைத்து வாசிக்க வைக்க சிபாரிசு செய்தேன். அதன்பின் நிறைய கச்சேரிகளில் சேர்ந்து வாசித்துள்ளோம். அன்று நான் அவரை அழைத்தது போக இன்று அவர் என்னை இலங்கைக்கு அழைத்து பல கச்சேரிகளில் வாசிக்க வழியும் செய்யும் அளவிற்கு வளர்ந்துள்ளார். முன்னணி கலைஞர்கள் மன்னார்குடி வாசுதேவன், திருப்புங்கூர் முத்துகுமாரிசாமி போன்றோரும் அவர் அழைப்பின் பேரில் சென்று இலங்கையில் அடிக்கடி வாசித்து வருகின்றனர்.” என்கிறார் தவில் வித்வான் கோவிலூர் கே.ஜி. 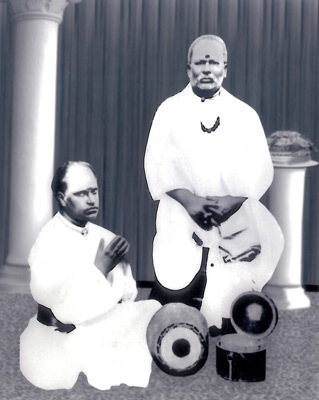 கல்யாணசுந்தரம். இந்தியாவில் வாசிப்பதைப் பற்றி பாலமுருகன், ”2013-ல் எங்கள் வாசிப்பைக் கேட்டுவிட்டு திரு. ஏ.கே.பழனிவேல் எங்களை பொங்கல் தினத்தன்று சன் டிவி-யில் வாசிக்க ஏற்பாடு செய்தார். இந்த வருடம் திருவையாறு தியாகராஜ உற்சவத்திலும் முதன் முறையாக வாசிக்கும் வாய்ப்பு கிடைத்தது.”. என்கிறார். தன்னை அதிகம் பாதித்த இசையைக் குறிப்பிடும் போது, “ஜி.என்.பி, மதுரை சோமு, சேஷகோபாலன் ஆகியோரின் ராக ஆலாபனைகள் என்னை பெரிதும் பாதித்துள்ளன. கீர்த்தனைகள் பாடுவதில் மகாராஜபுரம் சந்தானத்தின் வழியை பெரிதும் விரும்புவேன். அதே வழியில் வாசிக்கவும் முயன்று வருகிறேன்.”, என்கிறார். கோயில் கச்சேரிகளில் ஓய்வின்றி வாசித்துவரும் பாலமுருகன் விரைவில் இந்தியாவிலும், அமெரிக்கா முதலான நாடுகளிலும் கர்நாடக இசைக் கச்சேரிகள் நடத்தும் சபைகளிலும் வாசிப்பார் என்பதில் எந்த ஐயப்பாடும் இல்லை. அதன் தொடக்கமாக வரும் நவம்பர் 3-ம் தேதி சென்னையில், மயிலாப்பூர் ராக ஸுதா அரங்கில் இவர் கச்சேரி நடைபெறுகிறது. As a minimum response to the recent #metoo wave I introspected for the last few days and made a few decisions – some personal and some for Parivadini. I will not attend concerts of the artists who have been outed by the #metoo wave. I will not write notes/articles on their music. I will not share their music on Social media. I will not involve in writing their biography or publish their interviews. They will not be part of Programs curated under Parivadini banner. Parivadini will not webcast programs involving these artists. I’m fully aware that these artists will not miss much if Lalitharam doesn’t write about them. Neither do these artists gain visibility y performing for Parivadini. This is a minimum response to show support to the victims who have shown courage to come out speak up. I have been guilty to always looking at the glory of art and turning a blind eye on the prevalent exploitation. Time is truly up for such thinking now. This stance is a small step towards the change. It is quite possible that some of the allegations could be baseless. At this juncture, I would like to stand with the side that didn’t have a chance to voice out their sufferings. Addressing concerns on baseless allegations can wait for now.